Have a valid library card number or ONE Access ID for each participant in the Summer Break account. Complete the Summer Break program (read 20 hours or log a minimum of 10 hours of reading and complete 10 learning activities). Log reading time or activities for 10 out of 10 weeks. *Carowinds tickets and other incentives are available while supplies last. Group participants are not eligible for Carowinds tickets. See the "Carowinds Ticket FAQ" for more information. When and how do I collect my incentives? The first day to pick up incentives is June 1, 2019. After that, as soon as you sign up for Summer Break, you can collect incentives at any library location. The last day to pick up your incentives is Saturday, August 17. Please note, Carowinds tickets will be distributed starting Saturday, August 10 at 9 a.m.
How do fine waivers work? Participants can earn a $5 fine waiver at sign-up and at 10, 15, and 20 hours of reading; fine waivers are awarded for reading time only (not activities). Fine waivers must be claimed in person. Fine waivers can be applied to any library account regardless of who earned them. Fine waivers may not be used for lost card fees, ILL fees, damage charges, lost items, collection fees, non-resident fees, printing, merchandise or anything else. Fine waivers have no cash value and cannot be exchanged. All fine waiver cards expire December 31, 2019. How can I earn a Carowinds ticket? I have one library card for my entire family. Can I use the same card number in each participant's library card field? While we do prefer that each participant use their own library card or ONE Access ID, we are allowing families only to use a shared card. EACH member of a family account must have a library card number listed under their individual account information to be eligible for the Carowinds ticket. When can I pick up a Carowinds ticket? Carowinds tickets will be distributed to eligible participants starting Saturday, August 10 at 9 a.m. 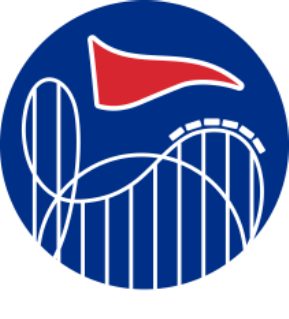 The Carowinds badge (see image to right) will appear on each participant's dashboard once all of the above requirements have been met. Participants can claim their ticket in person only at a library location – tickets will not be mailed directly to them. Tickets are available WHILE SUPPLIES LAST. Carowinds tickets are awarded on a first come, first served basis. Group participants are not eligible for Carowinds tickets. Can I send a friend or family member to pick up my ticket? Participants can only claim tickets for the members of their immediate household who are listed on that family's Summer Break account. Will the Library hold my ticket if I cannot come Saturday, August 10? Library staff cannot hold or reserve tickets. When can the Carowinds tickets be used? The Carowinds tickets are good for a one-time admission to the park through the end of 2019. Please visit the Carowinds website for information regarding their hours of operation. Tickets do not include cost of parking. Will the Library run out of tickets? Carowinds tickets, like all incentives, are available while supplies last. Tickets are made possible through a generous partnership between Carowinds and Charlotte Mecklenburg Library. The tickets were highly popular last year and were all claimed quickly, so it is possible that we could run out of tickets again this year. In addition to offering free Carowinds tickets to eligible Summer Break participants, Carowinds also offers Library customers the opportunity to purchase discounted tickets during Carowinds Library Week. Carowinds Library Week 2019 will be July 21-26. Check back here for more details as this information is still being finalized. Help create a library of possibilities. Your support helps enrich Library experiences.